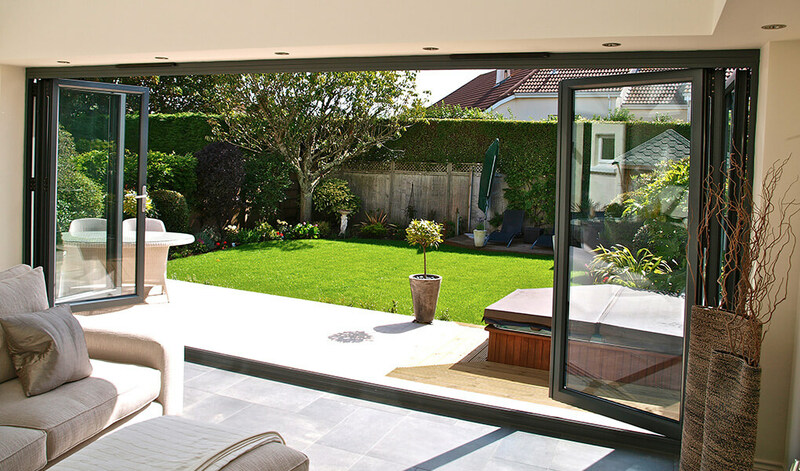 There's simply no sleeker way to transition between the inside and outside of the home than bifold doors. Opened by folding in a concertina style, they're perfect for brightening up your home in a highly attractive, contemporary way. 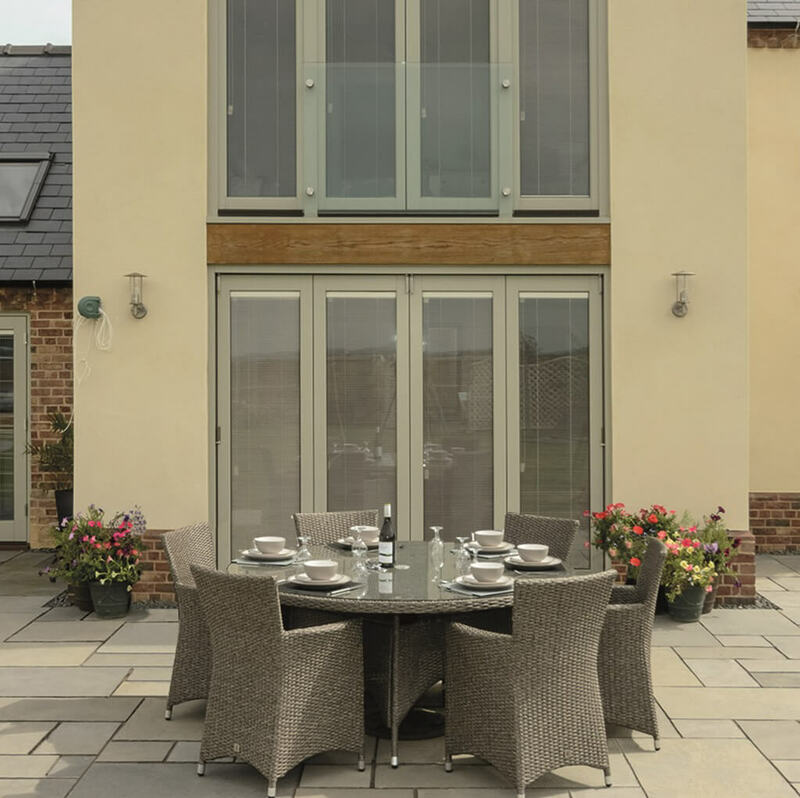 Bi-folding doors boast of sumptuously slender framework, creating an elegant appearance whilst simultaneously allowing huge amounts of light into your home. But thankfully, light is the only thing that they’ll let into your home. Thanks to a weatherproof design and the latest security hardware, which includes toughened glass and a shootbolt locking system, the wind, rain, and any unwanted guests will remain outside. When fully opened, however, your home will be totally exposed to the outdoors, blurring the lines between the inside and outside. 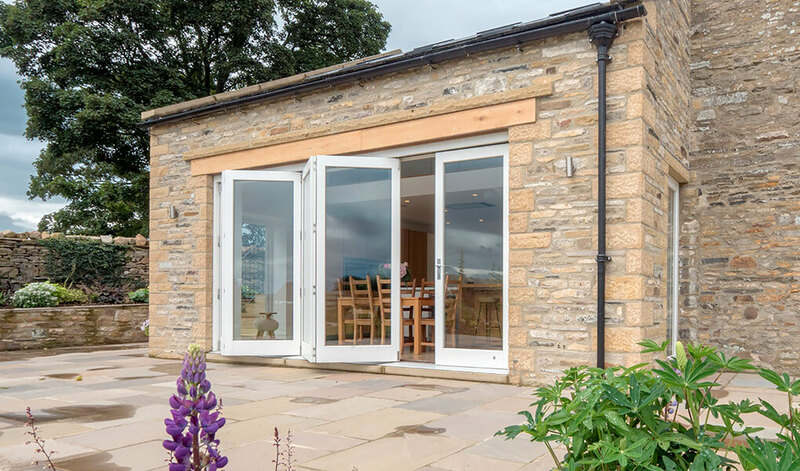 Our customers can choose from either uPVC or aluminium bifold doors, both of which are renowned for their thermally efficient designs so you won’t see a rise in your heating costs. 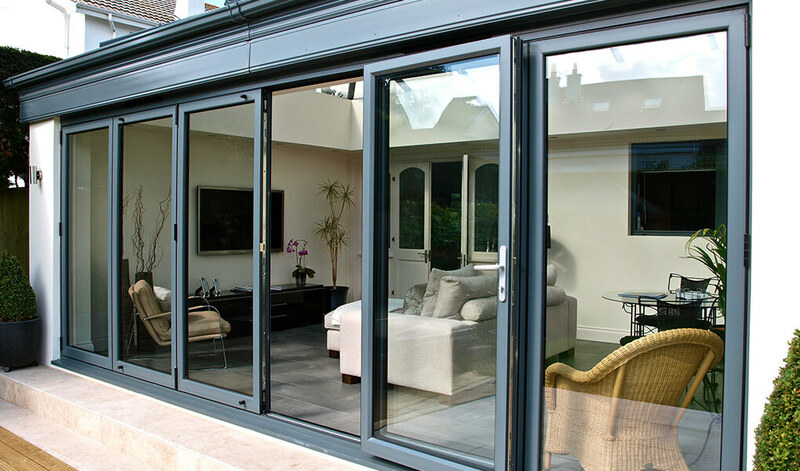 Our aluminium bifold doors achieve U-values of 1.6 W/m2k whilst our uPVC variants can be fitted with Recycled Composite Materials for an additional thermal performance boost. 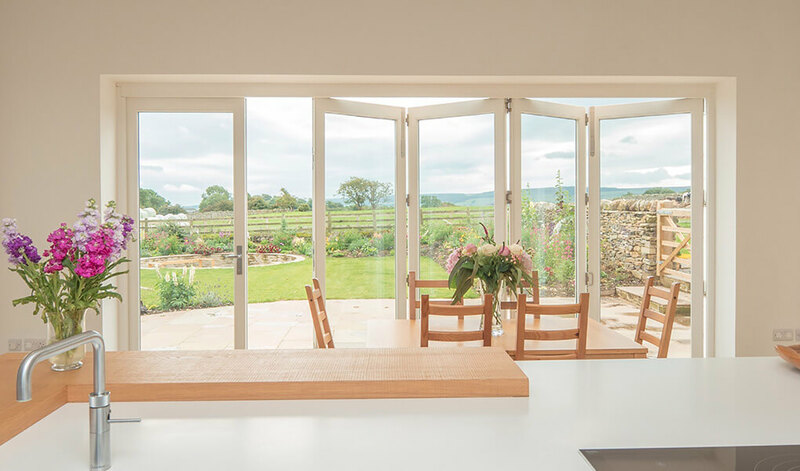 With a variable number of door leaves, numerous opening configurations, and a variety of colours to choose from, the design of our bifold doors is incredibly versatile. Aluminium and uPVC do not attract dirt easily and when the time comes to clean either material, both can be wiped clean with similar ease. 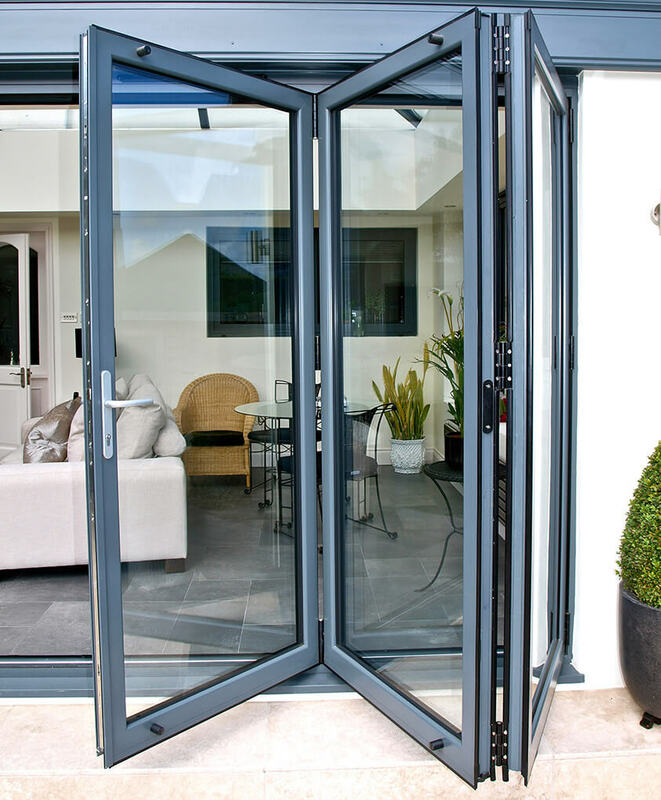 If wheelchair or ease of access is required, our bifold doors are available with a low threshold. Pick from anodised and woodgrain effect finishes, creating the ideal look for your home. There's also the option of a different colour for the interior and exterior part of the doors, allowing you to match our bifolds to both areas of your home. Bifold doors from Premier Windows are available in various configurations to suit apertures of different sizes, be they large or small. They can also open inwards or outwards, fold to the left, the right, or both ways to suit your preferences.